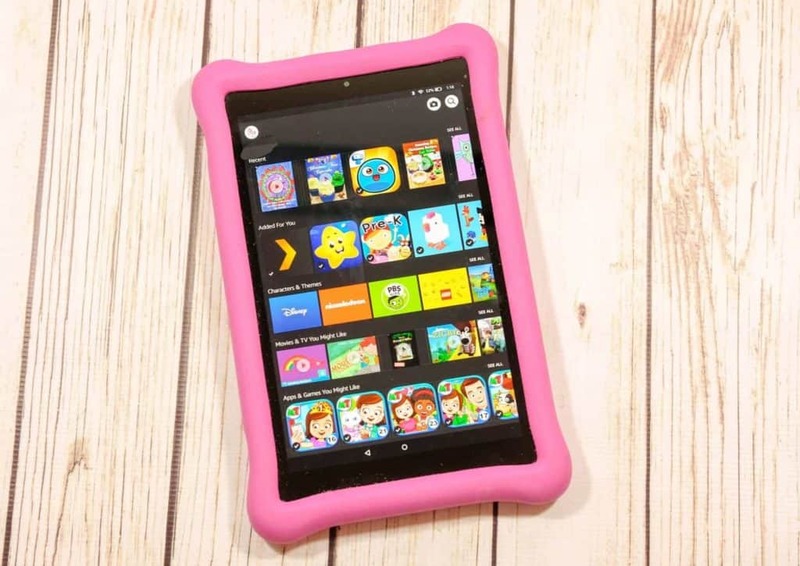 I have been through several Fire HD’s for my two oldest children in the last several years. Not because there is anything wrong with them, but because I love them and have wanted to upgrade frequently to take advantage of new features. I had the original Fire HD (I believe back then it was called a kid’s Kindle) and then I upgraded to the 7 version, and now I have just bought two of the Fired HD 10 Kids Edition for my two oldest children. I have written a review of the older versions which you can check out here. The kid proof case and 2 year worry free guarantee. Out of five tablets over the years, I have had to use the worry free guarantee twice, and each time it was easy and with no issues. The included 1 year of Free Time Unlimited which gives us access to thousands of apps. And it’s all child appropriate and I really do not have to worry about what my kids are downloading. The parental controls. I can control everything for each of my children’s profiles from any of the devices. I can give the kids access to Netflix or YouTube, or whichever apps I want them to have. They cannot access them without my permission however. I love my Apple products for me but when it comes to a tablet for children I really do prefer the Fire HDs to the iPad. There is so much more parental control, and it’s much more affordable. It’s more affordable for the tablet itself and for the content with the included Free Time Unlimited. It has the nicest screen yet in terms of size and specs. 10″ does seem large for a child and I had to get used to it at first. I now love it because I have my first grader using it for her class reading apps and homework, and it really can replace a laptop for her at this age. The 10 has the longest battery yet. It lasts much longer than our previous 7 version. The storage is 32 GB right off with the ability to expand it. Our first Fire tablet was set at 8 GB and filled up quickly. Being able to expand the storage is critical. I cannot recommend the Fire HD Kids Edition enough. I have been happy with all my versions over the years (five!) and this one is my favorite so far. Amazon’s support has always come through for me if I have any issues. With Prime you can always return it anyway if you are not happy, so check it out now! 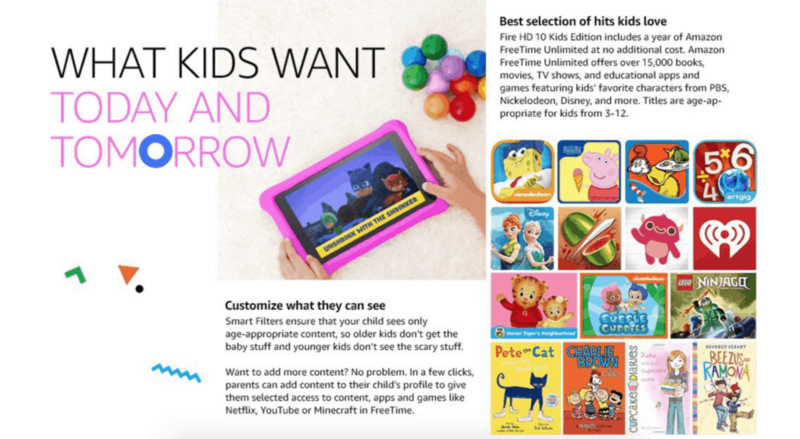 There is a limited-time offer right now: Buy 2, save over 35% on Fire HD 10 Kids Edition.